Last June, Twitter hopped on the transparency train and released its first report indexing information requests, copyright takedown notices, and removal requests from governments around the globe. Now the second report is out, with its own site and some new details on what the U.S. government in particular is doing. And weirdly enough, copyright takedown requests are actually down from the past six months. When it comes to transparency reports, you'll usually find that requests of all kinds are on the rise. And for the most part, that's true with Twitter as well. Globally, government information requests are up 19 percent (20 percent in the US), and non-copyright removal requests are up a whopping 600 percent worldwide, with the US going up from zero to four. 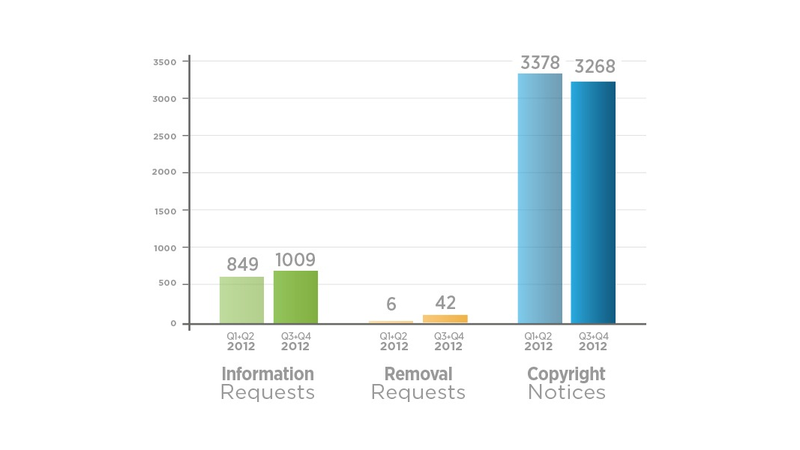 But when it comes to copyright takedowns, the total amount of requests is down, though admittedly by a scant 3 percent. And the accuracy of these requests seems to be getting better, nearly 20 percent higher than before.